R. Brent Cooper focuses his practice on commercial litigation, insurance litigation, and appellate practice. He has over 100 trials in state and federal courts and has argued over 250 appeals in the intermediate and supreme courts of various states. He has tried numerous cases covering areas of business litigation, construction litigation, catastrophic personal injuries, complex litigation, intellectual property, constitutional and business tort cases. 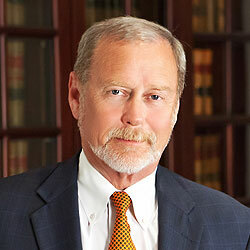 In his 37 years of practice, he has been at the forefront of appellate law. He also has worked with clients in drafting and helping secure passage of legislation when traditional judicial remedies were not sufficient. Licensed in Texas and Oklahoma and in federal courts in several states, Brent has successfully guided many clients through the litigation process and obtained the results important to them. Brent also is involved in handling high dollar bankruptcy litigation and has been retained on numerous occasions as special counsel for the trustee. Brent is board certified by the Texas Board of Legal Specialization in Personal Injury Trial Law. He has testified before the House Civil Practice committee and the Senate State Affairs committee with respect to the legislation which is now House Bill 4. He has been recognized by Chambers USA – America’s Leading Lawyers for Business in 2007-2015. He also was selected by The American Lawyer, the National Law Journal, and Corporate Counsel as one of the 2014 Top Rated Lawyers in Litigation. He is a frequent lecturer, having spoken on insurance litigation, coverage, and bad faith at seminars for the State Bar of Texas, University of Houston Law Center, South Texas College of Law, and the University of Texas School of Law. 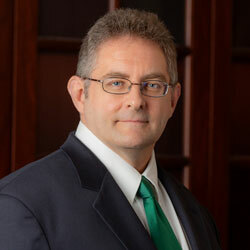 He is co-author of Cooper, Hensley & Marshall’s Texas Rules of Civil Procedure Annotated and a contributing author to LexisNexis Texas Annotated Insurance Code. He has written numerous articles for law reviews and legal publications. Since 1995, Brent and his wife, Karen, have helped found and support Talsi Christian School, a school in the former Soviet Republic of Latvia. The school has grown from 25 students to over 250. Each year, Brent and his wife bring a team of American adults and students to lead a youth camp of students from Latvia and the other Baltic Republics. Part of the purpose of the camp is to educate the American students (all of whom were born after the fall of the Iron Curtain) of what the Communist form of government was like and its impact on the people and the country. In 2006, they created a foundation whose purpose is to support Talsi Christian School. Tow v. Bulmahn, 2016 WL 3554720; In the U.S. District Court for the E.D. Louisiana, June 30, 2016. Rio Grande Valley Vein Clinic, P.A. v. Guerrero, No. 12-0843, Supreme Court of Texas, 2014 Tex. LEXIS 306, April 25, 2014, Opinion Delivered. Kia Motors Corp. v. Lawrence Ruiz Individually & As Representative of the Estate of Andrea Ruiz, No. 11-0709, Supreme Court of Texas, 2014 Tex. LEXIS 259, September 9, 2013, Argued, March 28, 2014, Opinion Delivered, Publication Status Pending. Consult State Rules Regarding Precedential Value. Bioderm Skin Care v. Veasna "Sandee" Sok, No. 11-0773, Supreme Court of Texas, 2014 Tex. LEXIS 254, 2014 WL 1258225; September 9, 2013, Argued, March 28, 2014, Opinion Delivered, Publication Status Pending. Consult State Rules Regarding Precedential Value. Ewing Constr. Co. v. Amerisure Ins. Co., No. 12-0661, Supreme Court of Texas, 420 S.W.3d 30; 2014 Tex. LEXIS 39; 57 Tex. Sup. J. 195, February 27, 2013, Argued, January 17, 2014, Opinion Delivered, Released for Publication January 28, 2014. Am. First Lloyd's Ins. Co. v. Global Experience Specialists, Inc., Civil Action No. 3:13-CV-0534-D, United States District Court for the Northern District of Texas, Dallas Division, 2013 U.S. Dist. LEXIS 165302, 2014 WL 6164293, November 21, 2013, Decided, November 21, 2013. Wall v. Alcon Labs. Inc., No. 13-10117, United States Court of Appeals For The Fifth Circuit, 2014 U.S. App. LEXIS 542, January 10, 2014, [Unpublished]. City of McKinney v. Hank's Rest. Group, L.P., No. 05-12-01359-CV, Court of Appeals of Texas, Fifth District, Dallas, 412 S.W.3d 102; 2013 Tex. App. LEXIS 11812, September 18, 2013, Remand Opinion Filed, Released for Publication October 29, 2013. Creech v. Columbia Med. Ctr. of Las Colinas Subsidiary, L.P., No. 05-10-01545-CV, Court of Appeals of Texas, Fifth District, Dallas, 411 S.W.3d 1; 2013 Tex. App. LEXIS 2087, February 13, 2013, Opinion Filed, Released for Publication March 21, 2013. Bay Area Healthcare Group, Ltd. v. McShane, 239 S.W.3d 231 (Tex. 2007).